Location! Location! Location! 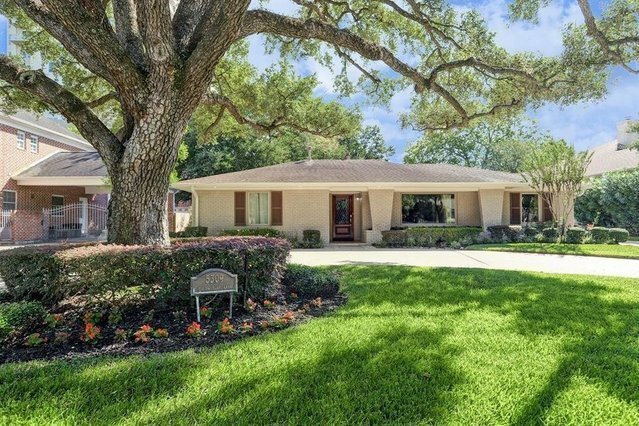 The living is easy in this gracious, generously proportioned four bedroom, 4.5 bathroom ranch style home.On a large lot nestled in Del Monte, a beautiful Galleria area neighborhood, 5309 Piping Rock Lane truly is an escape in the middle of the city. It boasts two large living areas, owner's retreat and secondary bedroom opening to an expansive resort like backyard that with an oversized pool with a waterfall, spa and extensive decking.Perfect for family and entertaining, the gourmet kitchen will inspire your inner chef with its stainless steel appliances and granite counters. It is the heart of this home easily flowing to the family room, game room and multiple dining areas including a breakfast bar, casual and formal dining.An oversized circular drive and solar powered gated drive provide ample off street parking. Ideally located to enjoy easy proximity to the Galleria and the Boulevard Project that's bringing a new dining, shopping.